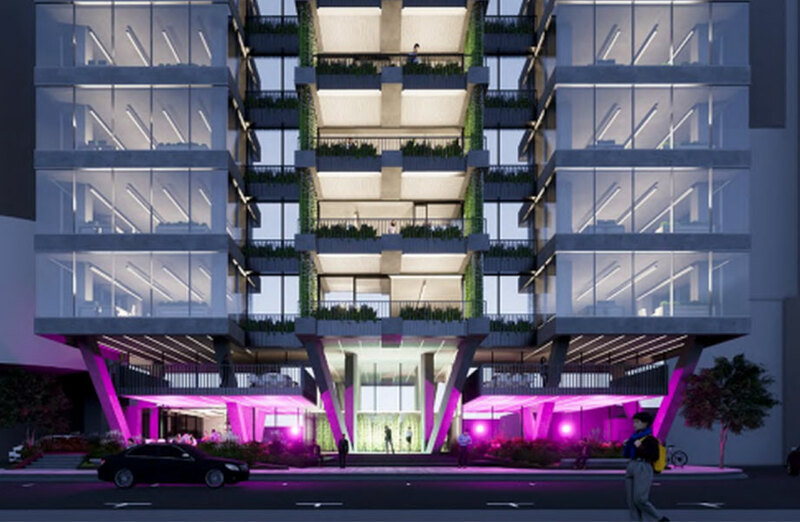 Metro Property has offloaded the final undeveloped site of its five-tower Newstead Central development to fellow Brisbane developer Silverstone. The fourth stage of Metro’s 800-apartment project was completed in mid-2018, with news that real estate agents were offering discounts of up to 20 per cent on its stock. 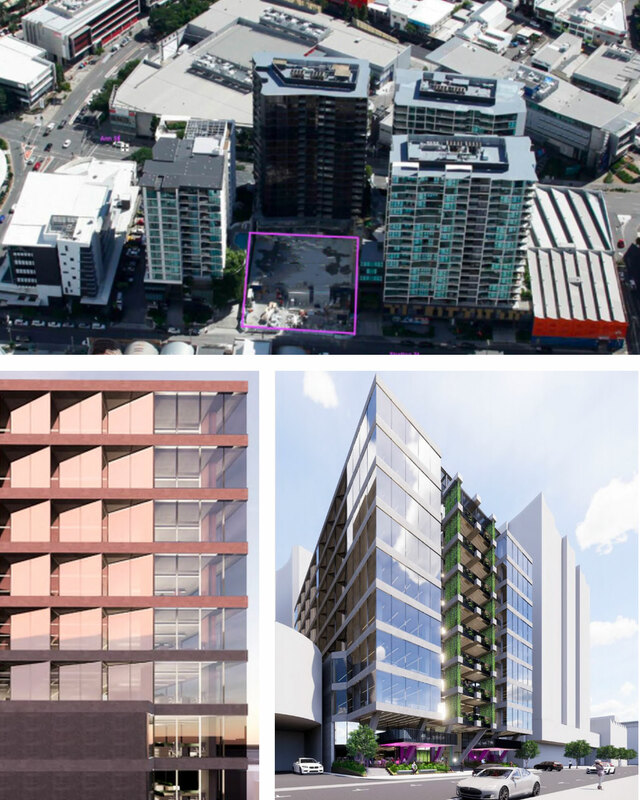 Moving away from an unsteady pocket of Brisbane’s residential market, Silverstone’s proposal has slashed 9-storeys from Metro’s final tower, submitting plans for a commercial scheme in its place. The $80 million tower will offer about 8000sq m of net lettable area and small retail tenancy on the ground level. The final site at Newstead Central (top) has been acquired by Silverstone. The Rothelowman-designed scheme for the tower (bottom left, right). “The opportunity we’ve come across is quite unique,” Silverstone managing director Troy Daffy said. The “flight to quality” theme in Brisbane’s office market saw a significant uptick in activity in Brisbane’s fringes over the second half of 2018, with some high-profile sales in Brisbane’s inner-north. Growthpoint snapped up Bank of Queensland's headquarters on Skyring Terrace in Newstead for $250 million in November, while investment giant Centuria picked up 825 Ann Street and 100 Brookes Street in Fortitude Valley. Consolidated Properties submitted a development application for a $250 million office building on Ann Street in late December.